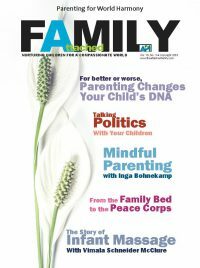 In preparing the Spring 2009 issue of The Attached Family, I asked a number of women to tell their birth stories who were too uncomfortable in doing so. They were still working through emotions of disappointment, fear, and sometimes guilt surrounding their baby’s birth – even years afterward. It is obvious that emotional healing is a process, similar in many ways to grieving over the death of a loved one. In fact, the emotional healing process after a traumatic birth is a type of grief: You are grieving over a loss – having to settle for a labor and/or childbirth that may be very different than you imagined it, the loss of your expected recovery or early attachment period with your baby, even the loss of a healthy baby. For some women, the loss may not be so obvious – perhaps you didn’t get to hold your baby after your birth, or you had an I.V. or catheter or couldn’t walk around during your labor as much as you wanted to. Not all losses have to be catastrophic or major to cause a feeling of grief. Dr. Elizabeth Kübler-Ross was a doctor who spent time studying the emotions patients in Swiss hospitals go through when they learn they have a terminal illness. She wrote On Death and Dying in 1969, where she identified seven stages of grief people typically go through as they work through the emotional impact of the loss of their dreams for their life. Commonly referred to as the Grief Cycle, these stages are common with all forms of loss – such as the loss of a job or pet, and theoretically could be applied to the emotions surrounding a disappointing birth experience. Shock – Symptoms: At first, the person may appear to have no reaction at all, or may nod and appear to accept the news without being troubled by it. The person may need to be told several times before they understand it, which is indicative by a physical reaction such as paling of the skin, shortness of breath, and physical freezing. Treatment: The person should be sat down and given something to hold onto. Show them sympathy and acceptance. Prevention: While there is no prevention of the Grief Cycle, the reactions of the Shock Stage may be lessened some by telling the person the news in a private, safe place with the company of trusted friends or family. Denial – Symptoms: The person pretends that nothing has happened, including denying any evidence that would prove the news to be real. Treatment: Show sympathy by letting the person know that you, too, find it unfair. This will help the person feel safe to become angry about the situation, which opens up their ability to deal with their emotions. Bargaining – Symptoms: The person feels hopeful that the situation is reversible. She seeks in vain for ways to avoid the situation. Treatment: While you can help the person seek out practical alternatives, do not offer the person any false hope. Offer new opportunities for personal growth. Depression – Symptoms: The person finally feels the inevitability of the situation and reluctantly accepts it. This can be a deep depression full of despair and hopelessness. Depression can present in many ways, from tearfulness to sleeping all the time to loss of joy in hobbies. As they turn into themselves, they turn away from any possible solution or person who can help them. Treatment: Show sympathy and acceptance. Your presence, while it may not be acknowledged, can be comforting to the person. Professional counseling may be needed to help the person recognize their depression and then find a way out of depression. Testing – Symptoms: The person begins to experiment with activities to find ways out of the depression. Treatment: The support of friends, family, and sometimes professional counselors can help tremendously during this stage. Give the person as much control over the situation as possible, as you help them try different solutions. Acceptance – Symptoms: The person feels ready and actively involved in moving on with her life. The person takes ownership for their actions and emotions. They start doing things and taking note of the results, and then changing their actions in response. They appear increasingly happier and more content. Treatment: Help the person to establish themselves in their new position on life. Congratulate them on getting through the emotional healing process, and celebrate the transition of their transition. For this exercise, I am referring to my daughter’s birth story, “The Story of Rachel,” in the Birth Stories section. Try dissecting this story and see if you can identify any of the stages of the Grief Cycle. Note that I did not appear to go through all the stages. As Godlin mentioned, not everyone goes through every stage of the Grief Cycle, or through in the same order. In addition, some women may grieve their births immediately, while others may wait. Some may think they have accepted the circumstances surrounding their child’s birth but then find a trigger in another’s birth story or when a close friend or sister becomes pregnant for the first time. Many women don’t grieve until they’re pregnant again, or even just considering whether or not they want more children. What my birth story doesn’t tell you is, I didn’t feel angry until I was pregnant with my second daughter, Emily, and then especially after her Cesarean. As far as the testing and acceptance stages go, while I believe I’ve accepted the way my birth progressed with Rachel, I’m still bouncing in and out of acceptance and anger with Emily’s birth. Because the two births were only a year apart, it’s difficult to sort out exactly which emotions go with which birth and it’s very possible the two’s Grief Cycles have enmeshed with one another. Everyone’s birth story is unique unto itself, and every person sees disappointments, fear, and guilt in their own way. This is why it is sometimes difficult to find empathy or sympathy from others, and why it can be useful to use the telling and retelling of our birth story as therapy in working through the Grief Cycle. In the article, “Emotional Recovery from a Cesarean,” on Plus-Size-Pregnancy.org, we learn that many women who suffer from emotional trauma following a Cesarean birth often then feel additional isolation and hurt by friends and family who have difficulty understanding the need to mourn a birth when the baby and mother are ultimately healthy. According to the article, some people don’t understand the scope of a Cesarean, thinking it’s more or less interchangeable with vaginal birth; others come from an age where interventions during birth, such as putting women out of consciousness or giving them massive episiotomies, were the norm. Some people may disregard a woman’s grief because they don’t want anything to overshadow their own joy of the new baby. Some people may be unable to feel empathy because they have unresolved issues from their own birth experiences, even seemingly normal ones, or because they happy with their interventions, even a Cesarean, and don’t understand why you wouldn’t feel the same way. With the internet, it’s easier now to find ways of telling your birth story. You can share it on the API Forum, where parents are always ready to give support. You can submit your story to be included on The Attached Family online. API Leaders through your local support group, or a resource leader contact, would be happy to listen to your birth story. Some API Support Groups host special meetings specifically for women to share their birth stories. If you’d like to be more personal, write your story in a journal or on your computer where no one else can see it but yourself. Tell your story to a trusted, impartial friend or family member. Only share what you feel like sharing, and don’t feel pressure to share all of it at once. Many women develop their stories, or parts of their stories, over time. They may remember points of their births that they hadn’t before, or are able to see it in a different perspective. You can start by writing about your pregnancy and work slowly forward in your story, or you can start at your recovery and work slowly backward. For some women, the story just falls together on its own from start to finish. For others, the story comes in little bits and may jump around. Write down the concrete details you can remember: who, what, where, when, the sensory details, etc. Write down what was going on inside of you: where was your mind, were you aware of the baby, what did you say to yourself, how were you feeling, etc. “It is completely normal to wish to avoid pain, but if you suppress your feelings and don’t really feel them fully, they become stronger. Often they will present in your life again and again, each time stronger and more insistent, and sometimes in more destructive ways. Although facing the feelings may be very difficult or feel very threatening, in the long run it is what frees you,” she continues. Telling the birth story, and working through the emotions surrounding a disappointing birth, is essential before a woman decides to have another baby. It is also important for women who are certain they are done having children, because their emotions may be clouding their judgment. Even if a woman is past her childbearing years, naming these emotions and working through them is needed for closure, or else, these emotions will return over and over again throughout their lives at different points and in different situations, until they are finally resolved in some way. Learn exactly what happens during the procedure you went through, whether it was a Cesarean, episiotomy, or another intervention. Search for an article on the Internet, or watch a video. Realize that you’ll likely find this distressing at first, but it really does help you to understand your emotions if you know what physically happened to you. Request a copy of your medical records. Find out what really happened during your birth experience and the reasons for the interventions. You need to understand the complexities of what happened and if there was anything you could’ve done to prevent what happened. You may feel anger and sadness as you read through your records, especially if you find unkind remarks or misinterpretations by your provider, but you can discover a lot of the behind-the-scenes reasons for why your labor and childbirth went the direction that it did. Listen to your partner’s view of the birth and discuss it. Your partner’s version may be different than yours, and he may be able to offer insight. Realize that he may be working through his own emotional healing process, so understand if he is reluctant or if he tells his story in a brief way that lacks a lot of emotion and details, and ask probing questions gently. Activate your anger. Unexpressed anger can destroy a person, but expressed anger opens up the healing process. It doesn’t matter whether you feel its reasonable anger or not. Women often feel angry at their health care providers or their spouses, but they can be angry toward anyone. But many women also don’t want to acknowledge that they’re angry. A good way to vent your anger is to write a letter addressed to the person with whom you’re angry – although you won’t send it – and let your anger erupt or pour out over the page. Express emotions through the arts. Draw, paint, sing, write a poem, create a sculpture, even out of play dough, or write a children’s story from your baby’s point of view – do whatever your creative tendency is. Acknowledge the emotional power of anniversaries. Your baby’s conception, expected due date, birthday, and other anniversaries can be both joyful times for you as well as times that bring about hard feelings toward your birth experience. Allow yourself to grieve during these anniversaries, which paradoxically, will allow you to work through the feelings and then enjoy the celebration. Otherwise, you’ll spend the day concentrating on your grief instead. Share your experience with others who understand. Join a support group or seek out a mentor, such as through the International Cesarean Awareness Network, ICAN-Online.org; Sidelines National High Risk Pregnancy Support Network, Sidelines.org; Birth Trauma Association, BirthTraumaAssociation.org.uk; SOLACE, SolaceForMothers.org; and Birthrites: Healing After Cesarean, Birthrites.org. Find support through the API Forum or at a local API Support Group. Talk with a trusted friend, listen to or read other women’s birth stories, or especially if your birth was traumatic, seek out professional counseling with a therapist who specializes in birth issues. Reframe the experience to focus on the positive — and on your baby. Give yourself credit for your courage and emotional strength. Think about the positive reinforcement you would give to another woman in your situation. Focus on the aspects of your birth where you did well, and give yourself credit for being mature enough to work through your emotions and to use the experience as a time for personal growth. Remember that you made the choices you made at the time because you believed them to be the best for your baby. Practice self forgiveness. Forgive yourself for your choices, whether it was going along with whatever the doctor said or whatever it is that is making you angry. Tell yourself that you did the best with the knowledge that you had at the time, because that is truly the best that anyone can do. Rewrite your birth in the way you wanted it to go. This is a very effective way to heal, but should be done only after you have written the birth story as it has gone and you have learned as much as you can about how the birth really went, which means looking at your medical records. Recreate your birth story with as much or as little detail as you want. Also, some women may need to rewrite their birth story over and over in order to feel a complete emotional release. Tell your birth story to your child. When you’re ready, hold your child while he is asleep and whisper to him first your birth story and then your recreated birth story, what you wished had been different. Some women feel more comfortable practicing this exercise first without their child present, or by holding their child’s favorite toy, to first release strong emotions like sorrow and rage. This is especially true if there is any anger felt toward the child. Create ceremonies. Some women gather friends together for a birth storytelling circle. Others write their birth stories or letters to those they are angry with and then burn the paper. Some have placental burials, affirmation declarations, or other rituals where they can either give themselves positive reinforcement or express anger in a healthy way toward others. Find activities that help release your emotions, tension, and stress. Exercise, good nutrition, mediation, and massage are especially helpful, as are your hobbies or even chores if you are able to channel your strong emotions into them. When a woman is in the midst of feeling the emotional trauma from a disappointing birth experience, it can seem like her former, happy self has gone away forever and a depressed, angry person has taken place. Healing takes time and effort, but it is well worth it in the end. Unhealed emotions from a traumatic birth experience can take their toll not only on the relationships within a family, but also on the future children (or decision whether to have more children) and on the woman. Sharing your story through an API Support Group, the API Forum, or by submission to The Attached Family online “Birth Stories” section can be a great start to healing through your birth story – as well as helping others heal from their traumatic births.